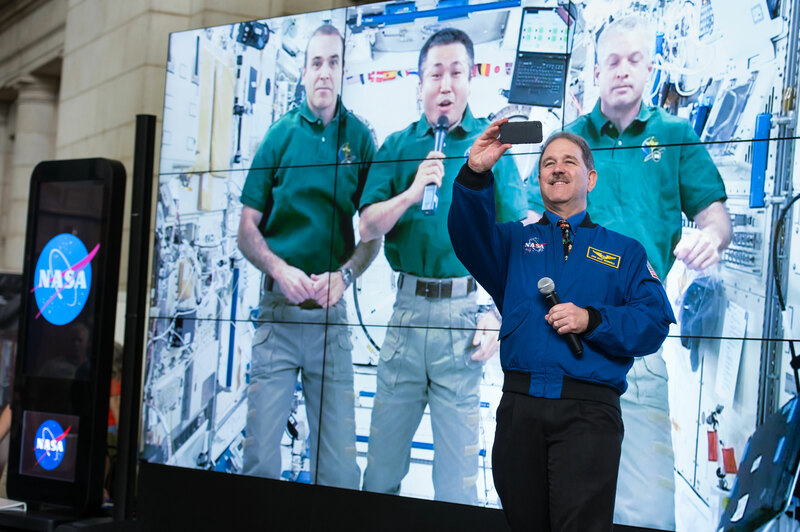 NASA Astronaut John Mace Grunsfeld takes a quick selfie with astronauts at the International Space Station at the NASA sponsored Earth Day event April 22, 2014 at Union Station in Washington, DC. NASA announced the “Global Selfie” event as part of its “Earth Right Now” campaign, celebrating the launch of five Earth-observing missions in 2014. 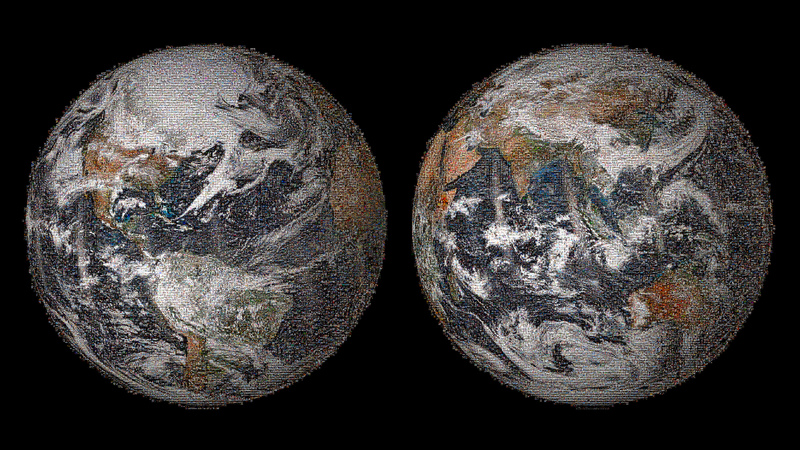 On May 22, NASA released the 3.2-billion-pixel sized NASA Earth Day Global Selfie 2014 photo mosaic. The image is comprised of more than 36,000 individual photos submitted by people around the world. Selfies were posted by people on every continent and 113 countries and regions, from Antarctica to Yemen, Greenland to Guatemala, and Pakistan to Peru. The resulting global mosaic is a zoomable image that users can scan and explore to look at individual photos. A low-resolution preview of the image is shown here. To view the entire Global Selfie mosaic and related images and videos, please visit: http://go.nasa.gov/1n4y8qp.